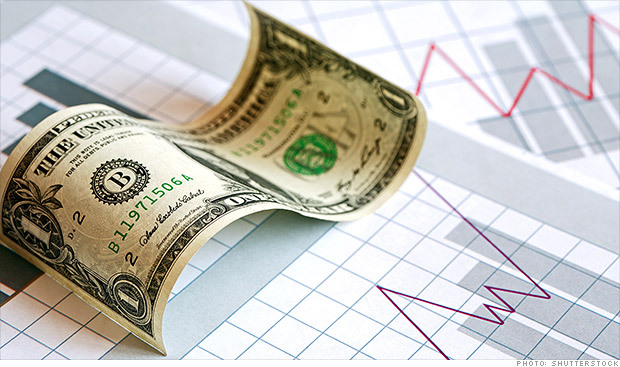 Recently, a few companies have found a savings opportunity: dividend payments. "We can save 150 million if we skip this year's dividend." Is one of the messages in the newspaper. The dividend policy, visible by the pay-out ratio of the earnings, is one of the strategic management choices. There are basically two extremes; a company will retain all its earnings to finance the growth, or a (moderate growing) company will pay-out dividends in order to give (private) investors the outlook of their own future portfolio revenues. A steady and growing dividend is one of the pillars of the value of a stock. If a company is targeting these stakeholders it must make sure to be able to continue such a policy in the future. After a good year, dividend cannot be raised in the same percentage as the profits have due to the growth-target of the dividend which must be controlled. Retain some of the earnings would be wise. It takes a lot of time to build-up trust whereas confidence is demolished overnight when a steady-dividend-policy is ended. For example when market forecasts detoriate. A laconically skip of dividends may affect the company more than a rational calculation may indicate. Saving on dividends is all about trust. And that takes years to rebuild. An alternative is to change not the pay-out-ratio for the current year, but to change the dividend payments. Many companies use a two step-payment schedule, some use a three step (every four month) and you might want to think about a quarterly-payment-structure to easy the cash flow burden of the payments. In this way the credibility is not affected, but the dividends are paid more effectively. No-one should object. It is even a way to attract more long-term shareholders as they have to wait for the full dividend collection. This article is only focused on the policy to the shareholder. Not taking into account takeovers and other strategic choices. It is possible that the dividends-policy changes to a shift in strategy. But cutting dividends as a single saving operation should be avoided.